Wolves are controversial, however. In France, since returning from Italy in 1992, their population has grown rapidly and sheep and goat farmers say they’re suffering rising attacks, with around 12,000 incidents reported. 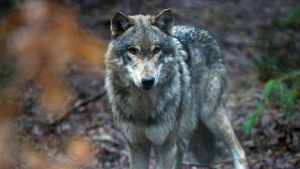 The French Government formed a cohabitation plan and in February last year set a target wolf population of 500 by 2023. However its thought this number may be reached or surpassed by this Winter and it’s proposing to increase the cull rate from 12% to 17% if that’s confirmed. Mr. Merveille is happy for wolves to remain in France but believes farmers must be allowed to kill them when they attack livestock. “We have to learn to cohabit,” said Mr. Maurelle.